Pre-Anesthetic Testing, basic testing for pets undergoing procedures with anesthetic. Early Detection, screening tests for adult pets. Monitoring Panels, for pets on long term medication. Grace is a 15 year old cat. She has had regular blood screenings for many years. We detected a slight elevation in her thyroid levels, indicating early stages of hyperthyroidism. She was not yet showing any symptoms of this deadly disease. She was treated with surgery, medication, and diet change. Grace has lived 5 years longer than Dr. McHenry estimates she would have if her disease was not caught early. This is precious time with her family. How much would you pay for good health? The cost of screenings end up saving you money overall. Detecting diseases early decreases costs associated with treating a pet with an unexpected or advanced disease. River City Pet Hospital has a suite of diagnostic laboratory equipment. We are able to perform most tests in-house. We are partnered with Idexx Labs, Spectrum Labs, and several veterinary college labs to compliment our in-house capabilities. 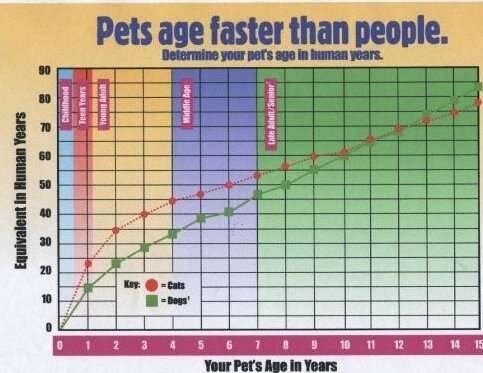 Your pet's inner health his hidden from view, but has a huge impact on his or her length and quality of life. Why wait until a health issue reaches a critical point and causes your pet and family to suffer? We can collect a sample of blood in the office. Bring your pet for semi annual examinations. There are a lot of things that can change in 6 months. A physical exam is the most important part of every visit to your veterinarian. Changes in weight, skin and coat, eyes, ears, joints, and teeth are assessed. Any necessary immunizations are administered. You have a happier family and pet if diseases are avoided. Our pets sleep, play, and eat in and around our homes and children... and share their parasites and infections with us! Also your finances are healthier (it costs you less) if your pet's health is maintained or any diseases are controlled before becoming serious. Your pet will live longer and be able to joyfully interact with you if he or she is healthy.